Weber Shandwick Europe chief executive Colin Byrne is drawing up plans to strengthen his senior team after this week's surprise news that UK corporate and public affairs managing director Michael Prescott is to take the top comms role at BT. As revealed on prweek.com/uk (1 December), Prescott will join BT Group as group director of comms in the new year, leaving big shoes to fill within WS's senior management. Byrne said he was targeting senior journalists and inhouse corporate comms professionals to replace Prescott, rather than looking internally to fill the role. Byrne revealed that he was also looking for another senior Conservative director for his public affairs practice. This follows last week's promotion of former CCHQ staffer Tara Hamilton-Miller to the role of vice-chair, public affairs. At BT, Prescott replaces Peter Morgan, who left the telecoms giant in mid-November to join Rolls-Royce as head of corporate affairs. Morgan had been at BT since 2004, where he oversaw the recent root-and-branch review of BT's comms spend and PR agencies. Morgan and Prescott are former WS colleagues, having jointly managed the agency's strategic media group in the early noughties. It is believed Morgan may have recommended Prescott for the BT job. Prescott was a journalist for 17 years prior to joining Weber Shandwick, including a four-year stint as political editor of The Sunday Times. Prescott said leaving Weber Shandwick would be an 'emotional time' for him. 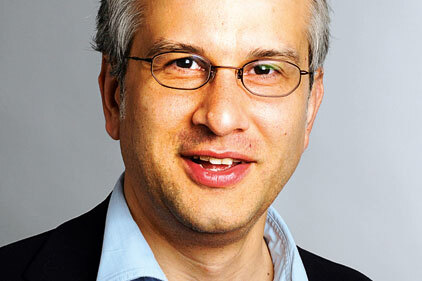 He joined the agency from The Sunday Times in 2001. Prescott will report directly to BT chief executive Ian Livingston and will have a remit covering public and government affairs, media and analyst relations, internal comms, CSR marketing and brand. Following this week's developments, Weber Shandwick has promoted director Jo Ann Robertson and head of European issues and crisis management Rod Clayton. They become joint heads of its London corporate practice and will report to Prescott's replacement. Clayton will also co-lead the agency's recently launched European corporate practice.